Laminated glass is produced by using ethylene-vinyl acetate as an interlayer. The process of laminating glass forms a safety glass - holding together even when shattered. This solution can be mixed in a clear form to become invisible once set or a white adhesive can be used to create a milky finish, altering the translucency of the glass. Additionally, foreign objects such as fabrics, metals, wood veneer, stone veneer, paper, etc. can be placed between the glass to form both functional and decorative panel designs. 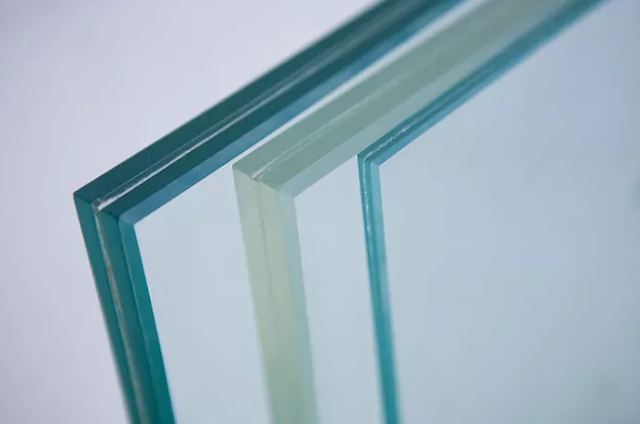 The key benefits provided by the laminated glass are the increased thermal insulation offered, the shading they provide through the interlayer, and the increased security they provide as the panel holds together even when shattered.